The LA folk rock band plays The Waiting Room Feb. 7. LA folk-rock band Dawes epitomizes a style of music I grew up listening to — tequila sunrise ’70s soft rock. You know what I’m talking about — those laid-back groovy bands they used to play on the FM (and AM) stations and still do if you have a classic rock channel in your town (and who doesn’t?). But somewhere/somehow over the past few years it’s become accepted for snotty, tone-deaf hipsters and hipster wannabes to denigrate (via Facebook) music infused with a peaceful, easy feeling. And that’s a shame, because the new folk rock that they often laud — from the likes of Wilco, Ben Kweller, Jenny Lewis and even our very own Conor Oberst and the Mystic Valley Band — owe much of their sound to those FM giants. Certainly Dawes does. That classic ’70s El-Lay studio sound is evident on their latest album, We’re All Gonna Die (2016, HUB Records), which, at times, reminds me of One of These Nights-era Eagles (there, I said it). On songs like the title track, the slow burnin’ “Roll with the Punches,” the wah-wah funk of “When the Tequila Runs Out,” heck, just about every track, Dawes frontman Taylor Goldsmith unapologetically puts a modern spin on AOR gold, sounding like the second coming of Don Henley or Glenn Frey, complete with warm-cushion vocal harmonies. And that’s about as cool as it gets. Taylor Goldsmith: Always changing but I often go back to Warren Zevon self-titled. Even though she’s one of my heroes and maybe the greatest songwriter that ever lived, there’s a song called “Not To Blame” by Joni Mitchell that I really hate. The shows. The songs get to change shape every night and we get to pull out old ones we haven’t played in years sometimes. Being gone from home so much of the year. While I love touring, it’s hard to keep a semblance of a normal life in order by being gone over half the year sometimes. Coffee. I always want more coffee. About to make some. We love playing at home for our friends and family and also love playing places like Nashville or NYC for the amazing venues and sold out shows, but there is also something special about coming into cities we’ve never been to or rarely play and having those more intimate experiences. It’s fun to still be building audiences in cities. It feels like we’re going into the past and future of the band from night to night depending where we are. An LA show in 2012. I had really lost my voice. I got a steroid shot and it made it a lot worse. By the time we got onstage I could barely whisper. But we couldn’t cancel because everyone was there already and I didn’t want to let the band down. It was rough. Yeah, music pays the bills. We quit our jobs and moved out of our homes the day before our first tour for North Hills. It meant we couldn’t afford places for a while, but we’ve never had jobs since. It’d be fun to be a novelist. I really idolize those guys. My brain just doesn’t work that way though. I’d hate to do just about anything that meant I couldn’t go outside during the day. Well our good buddy Conor Oberst lives there so any stories we know are somehow indirectly connected to him and the community he’s introduced us to. After spending some serious time there (more time than we typically can in a city during tour) we’ve really fallen in love with Omaha and have been looking forward to this show for a while. 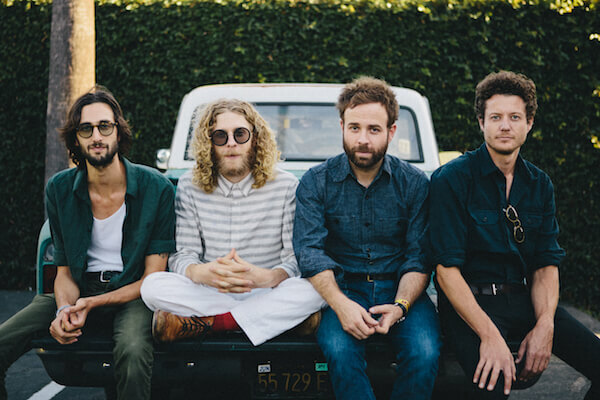 An Evening with Dawes is Tuesday, February 7, at The Waiting Room, 6212 Maple St. Tickets are $23 Adv./$25 DOS. Showtime is 9 p.m. For more information, go to onepercentproductions.com.